Tired of the long TSA lines? Book a flight for Wednesday. According to data collected by HappyOrNot's feedback-collecting smiley terminals, Wednesday is the best day of the week to travel, and sees the highest number of happy travelers. By pressing one of four "smiley" buttons at a HappyOrNot booth (faces ranged from red, dismayed faces or neutral, pale green meh faces to full-on thrilled bright green smileys) 70 million passengers at 100 airports all over the world ranked Hump Day number one. It's been lauded as the easiest day for scooting through an airport since 2013. Early birds who travel between 5 a.m. and 8 a.m. will find their time at the airport even more painless. 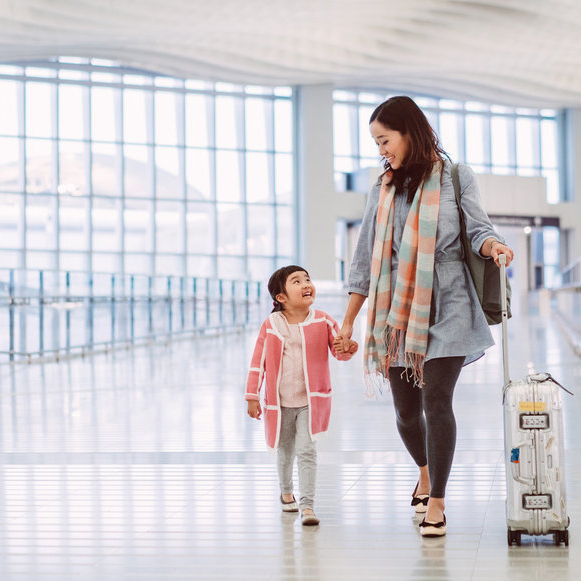 "The happy, vacation-mode attitude can quickly turn into a stressful, unhappy one if you have an unpleasant experience at the airport,” said Heikki Väänänen, CEO at HappyOrNot, in a statement. “Things like long queues at security checks, slow baggage claims, inefficient check-ins, or poor service in lounges can have an impact on your mood and affect the rest of your vacation. It is understandable that the busiest days get the worst feedback results."